Fernando García, PhD student at Wageningen University and Research centre, visited the city of Santa Marta in Colombia as a representative of the banana research team of Wageningen UR.AUGURA, the national banana producer organization of Colombia, invited him from August 12-14 to join a conference with the banana sector and discuss the ongoing banana research, particularly with respect to Panama disease. 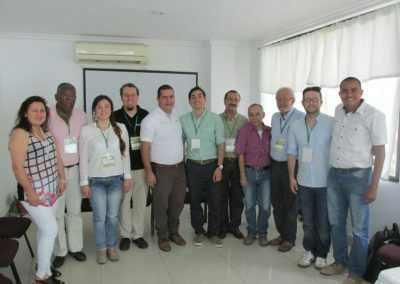 The meeting was framed into the “V reunión técnica banenera de Colombia” (the 5th Technical banana meeting of Colombia). 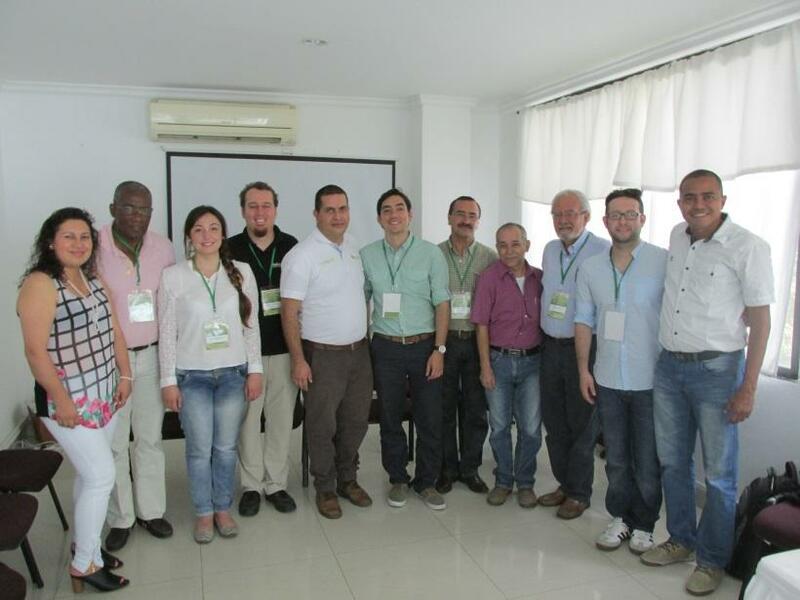 In this meeting several national and international institutions/companies gave an update about the situation of the banana industry in Colombia including the current situation with regard the menace of the Tropical Race 4 of Fusarium oxysporum f.sp. cubense (TR4). The recent outbreaks of TR4 in Mozambique, Pakistan, Lebanon, and Australia and the frequent visits of banana producers and service providers to this area as well as other interactions between various banana stakeholders in banana producing regions that are affected by TR4 prompted AUGURA to include the issue of Panama disease in the technical and academic meeting to address the current situation in Colombia and to foster discussion and alertness. Overtime the banana research team, under de leadership of Gert Kema, established links with AUGURA, Corporation for Biology Research(CIB) and National University of Colombia campus Medellin (UNAL-Med) that all participate in the INREF project and were, along withSolidaridad, present in the meeting.